This week we are walking with Jesus towards Jerusalem. 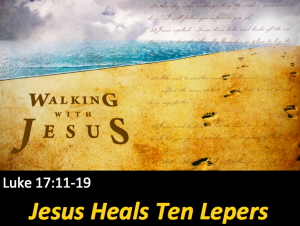 On the way, we encounter ten men who have leprosy. 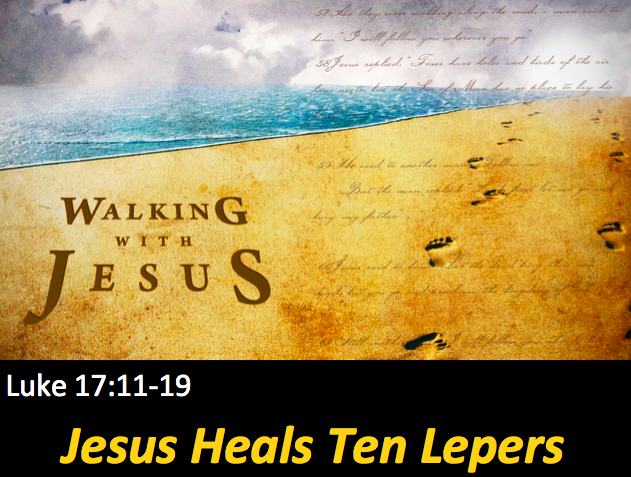 Jesus performs a miracle and the ten men’s lives are amazingly changed. But one of the men’s life is changed for eternity. To prepare for tomorrow, read Luke 17:11-19. Finally, we will have a brief meeting immediately after church to discuss our plans for finding a new location. We will continue as our own church and see what God has in store for us. Join us for our Bible Study on Tuesday nights at the church. We meet from 7:00pm-8:30pm in the Fellowship Hall.